Antarctica is more than a forbidding, cold land. Antarctica is one of the most exotic destinations on the planet, where very few people have been lucky enough to set foot on the continent. Brace yourself for one of a kind sights such as icebergs the size of skyscrapers, glaciers millions of years old calving into the Southern Ocean. Wonder at the wildlife whose hardiness is awe-inspiring. Pay tribute to some of the most otherworldly landscapes imaginable, and spend time in one of the last few pristine regions on our planet. But where can you actually explore in the vast continent of Antarctica? 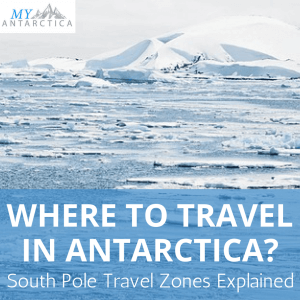 Read on for an explanation of the different zones you can travel in Antarctica and what you’re likely to find there. There really isn’t any quick way to reach and start exploring the desolate icy wonderland of Antarctica. But the journey is more than worth it. These two days are incredible for your first observations of the hundreds of creatures that live here. Many cruises leave from Ushuaia, Argentina and some will even fly over the Drake Passage for a shorter journey. 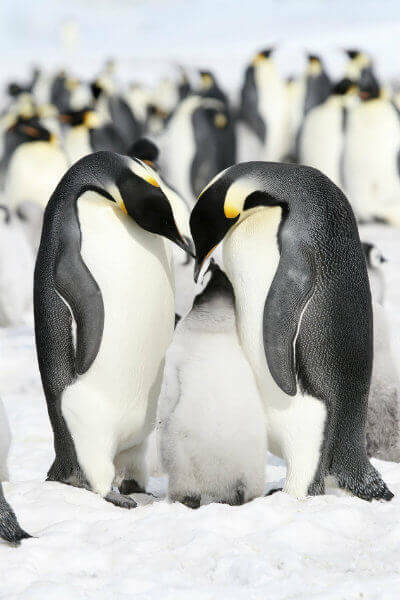 The Antarctic Peninsula is spit of land that extends out past the Antarctic Circle and contains a concentration of scientific bases from all over the world due to the variety of marine and terrestrial life that exists here. A spectacular mountain range over 500 miles long extends along the length of the peninsula, with the highest rising to over 9,000 feet tall. 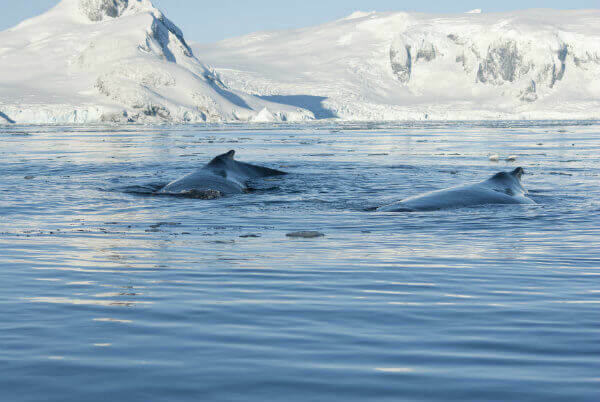 To visit the Peninsula would be to gain the most diverse array of the best travel in Antarctica has to offer in terms of wildlife and landscape. The best way to explore the Antarctic Peninsula is on shore to explore by foot or by kayak as part of an expedition cruise. Hiking, snowshoeing, camping and even climbing are all options offered on the Antarctic travel program on the Peninsula. If few people make it to Antarctica, even less reach the Antarctic Circle. 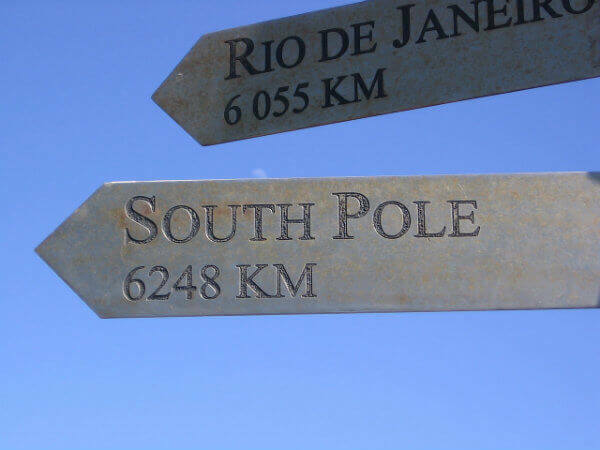 You are considered to have entered the Polar Circle as soon as you pass the 60th parallel in terms of latitude. Not all cruises even make it, as with Antarctica it is all dependent on the weather and navigating conditions. Reaching the Antarctic Circle is not just about the bragging rights either. An extra few days at sea bring with it more opportunities to observe floating icebergs the size of buildings and species such as leopard seals, orca and minke whales, and of course penguins. Extending your Antarctic travel experience with a polar circle adventure is best for those with a bit more time up their sleeves. 300 miles east of the Patagonian region of Argentina you will find the Falkland Islands. The islands unique position at the intersection of a subantarctic oceanic and tundra climate zones makes it a favourite among adventurous animal lovers. 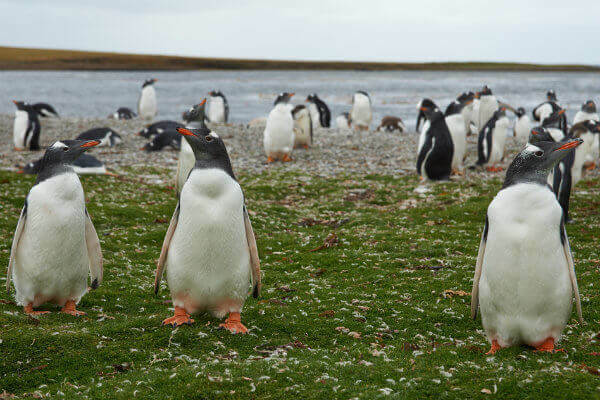 Five species of penguin, four species of seal, whales, albatross, falcons, some endemic bird species: the Falkland Flightless Steamer Duck, and the Striated Caracara all make their home here. The best times to visit are between November and March and you can also wander around this British outpost with a colourful naval history. South Georgia is considered sub-Antarctic due to its position some 850 miles southeast of the Falkland Islands. Historically a whaling station, South Georgia is the habitat of an astounding array of wildlife such as elephant and fur seals, seabirds like petrels, albatross, and penguins, and the endemic South Georgia Pipit which is the only songbird in Antarctica. This wild island is often quoted as one of the most beautiful places on earth with its majestic mountains, giant icebergs and glaciers, and a rugged coastline, and you can only visit it through an Antarctica travel voyage. Don’t forget to pay a visit to the grave site where the infamous Antarctic explorer Sir Ernest Shackleton, is laid to rest. Other points of interest are the old whaling station and museum, and the active British Antarctic Survey scientific station. To the west of the Antarctic Peninsula in the Southern Ocean is the usually ice-covered Weddell Sea. 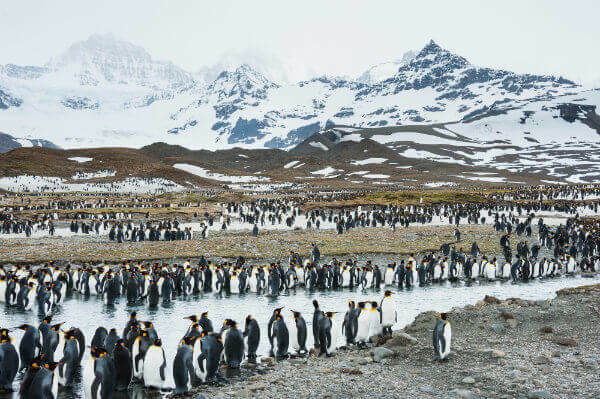 This regions is as diverse if not more so than the Antarctic Peninsula with hundreds of wildlife species and home to its most enigmatic, the Emperor King Penguin. A colony of these rare penguins was discovered near Snow Hill Island some years ago and is the ultimate goal of any aviary enthusiast who attempts this voyage. You might also come across tubular icebergs, fossils and historic remains on your Weddell Sea quest. Travel in Antarctica is one of the most extreme but also exciting ways to visit a remarkable part of the planet. The locations above are just some of the places you can explore on an Antarctic cruise tour and it is possible to combine one if not more of them as part of your polar adventure.